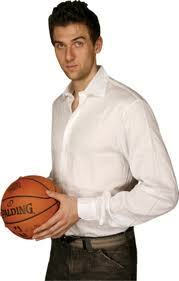 Hes been dubbed as the most underrated player in the game and has been the talk of recent trade rumors this off season. Coined the number two option to Derrick Rose by most fans, he also logs in the most minutes by any player in a Bulls uniform game by game in recent memory. 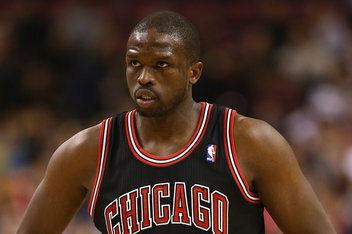 He is Luol Deng. Deng who was originally drafted by the Phoenix Suns 7th overall in the 2004 NBA Draft but his rights were traded to the Bulls upon a prior agreement. Since that day, Deng has averaged 16 PPG in 36 MPG while shooting 46% from the field and is consistently one of the league’s better defensive players. However, for all he has done, he is completely almost unnoticeable. 2 time All Star, All Defensive 2nd Team in 2012 and NBA All Rookie 1st Team in 2004. For a guy that has guarded the likes of Paul Pierce, Carmelo Anthony, Kevin Durant and LeBron James his entire career, that is without a doubt proof how underrated he is. Bulls head coach Tom Thibodeau quoted him as “the glue that holds the team together”. Now his contract currently at close to $14 million entering the final year of a 6 year, $71 million deal that he signed in the 2008 off season, the Bulls must find a way somehow to keep Luol Deng even longer. Hes only 28, so its not like hes at the end of his rope. The Bulls do have some difficulty with the salary cap and are paying penalties as a result of the luxury tax, but next season they should have more flexibility. With the emergence of Jimmy Butler becoming the new starting shooting guard, it seems that Deng’s minutes will be somewhat cut since Butler can play the small forward position and will the arrival of Mike Dunleavy Jr. Butler is definitely like Deng, but needs to find a consistent shot every night. These moves alone, will make Deng more valuable to the Bulls down the stretch of games, and could possibly see his scoring numbers definitely go up. The question is, if the Bulls were to re-sign him, how much would the contract be? It would be more than his last extension, but if hes willing to take a discount, i’m sure the Bulls front office would not mind paying him big time. The questions coming into this season will be if he can stay consistent and healthy since he missed the rest of the series against Brooklyn and the series against Miami. One way or another in next year’s offseason, the Bulls must find a way to keep Deng in the long term plans to be along side Derrick Rose and Joakim Noah. I’ve said it before and I’ll say it again: No Deng, no championships, period. 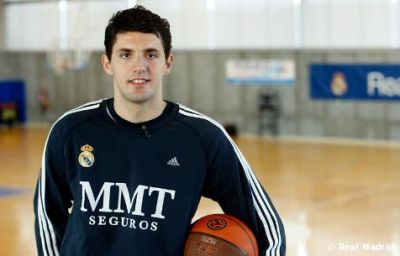 Nikola Mirotic, who was the Bulls 1st round pick in the 2011 NBA Draft continues to shine overseas for the Spanish basketball club Real Madrid. The 6’10 22 year old Spaniard, who’s primary position is power forward has just been named the Endesa League’s Most Valuable Player. He averaged 12.6 PPG, 5.5 RPG, 0.9 SPG and 0.8 BPG while establishing a Player Efficiency Rating of 16.2 which ranked 1st in the league. He also shot 54% from the field and shot 48% from 3 point territory while leading Real Madrid to a 30-4 record. For a big man, he also has the quickness of a small forward and the ball handling of a point guard. Its not the first time the Bulls have had a player similar to Mirotic. In fact, many fans and media are comparing his skills to him. Who was the player? The Croatian Sensation Toni Kukoc, who was a key piece to the Bulls last 3 championships. He is also a two time medalist for the Spaniards in the FIBA Europe U20 Championships, taking Bronze in 2010 and taking Gold in 2011. He was also named to the All-Tournament Team in 2010 and was the Tournament MVP in 2011. He isn’t expected to be in a Bulls uniform until sometime before the 2014-15 season but he is currently under contract with Real Madrid until the 2016 season. Currently, Real Madrid is in the middle of the ACB playoffs. One thing is for sure, hes looking more like a steal by the minute. By the time he comes over, he could be the one key piece they’ve been looking for to bring home another championship or even more. The Chicago Bulls are grinding to keep their playoff hopes alive and they are doing so without a few key pieces. Starting small forward Luol Deng(illness), combo guard Kirk Hinrich(calf) and of course former MVP, star player and point guard Derrick Rose(knee). It was reported by Adrian Wojnarowski of Yahoo Sports that Derrick Rose was officially done for the remainder of the playoffs. However, a new source has surfaced and it is indeed a shocking one. 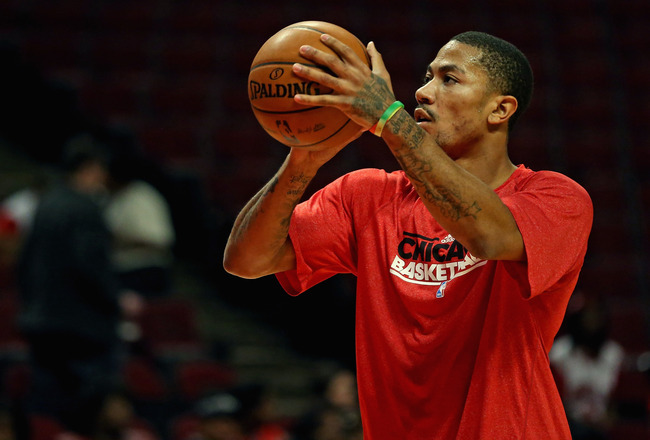 Word out of Chicago is that Rose may suit up for Game 3, which will be played this Friday. Suiting up doesn’t guarantee that Rose will play, but being in uniform on the bench rather than donning a suit would be a step forward for the 24-year-old. Nothing has been confirmed at this point, but it’s a possibility. The Bulls have shown they can win without their former 1st overall pick in 2008. They held off the Brooklyn Nets in 7 games despite being up 3-1. They just defeated the defending world champions on their home court, a first since the Bulls swept the Heat in the 2007 playoffs. 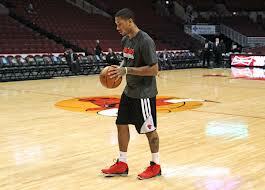 Every Chicago Bull fan has been awaiting to see Derrick Rose play. Sadly, they’ll most likely have to wait until the 2013-14 season as he is most likely out for the postseason. Rose, who tore his ACL in Game 1 of the Eastern Conference Quarterfinals against the Philadelphia 76ers, has not played a game all year long despite being medically cleared on March 9th. So pretty much the hype was all for nothing. That has got to sting. Maybe its the comments from his older brother Reggie that got into his head. On the other hand, why risk another injury coming back? Why would he risk the possibility of re-tearing his ACL? There’s a lot of why factors. The Bulls right now would love to have him back but after going 45-37 with still being one of the league’s top defensive teams, why risk it? If the Bulls advance to the Semifinals, there could be a ton of talk about him returning. Is it because most likely they’ll face the defending champion Miami Heat if they advance? We’ll have to wait and see. With the Knicks injury concerns throughout the 2012/13 season being well documented it has been made clear that perhaps being the oldest team in NBA history may not have paid off. The recent and relatively unexpected retirement of Rasheed Wallace as well as the recent departure of Kurt Thomas has given the Knicks organisation room to ‘top-up’ and that is exactly what they have done. Amare Stoudemire, Tyson Chandler, Kenyon Martin, Marcus Camby as well as the previously mentioned and recently released Rasheed Wallace and Kurt Thomas are all Knicks big men who have been out of action in the lead up to the playoffs, which has obviously become a concern for the Knicks. Recently acquired Quentin Richardson and Earl Barron have both spent time in the NBA at different organisations and both have somewhat of a reputation within the league. As well as this, both haveexperience as a New York Knick. Richardson is a 33 year old 6’6 small forward, however his versatility and defensive aggression has, at times allowed him to play multiple positions. 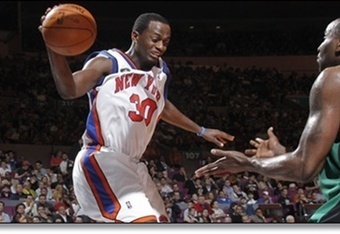 Over his career with the LA Clippers, Phoenix Suns, New York Knicks, Miami Heat and Orlando Magic Richardson averaged 10.3ppg, 4.7rpg, 1.5apg while shooting at .397 from the field and .355 from the three point line. Barron is a 31 year old 7ft 2450 pound Center who knows how to rebound the ball and also has a reasonable baby jump shot! 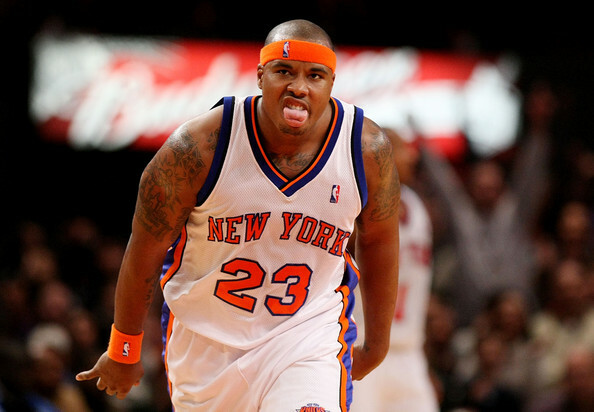 Over his career with the Miami Heat, New York Knicks, Milwaukee Bucks, Phoenix Suns, Portland Trail Blazers, Golden State Warriors and the Washington Wizards he averaged 4.9ppg and 3.7rpg, however it should be noted that in his last season with the Knicks (09-10) Jones averaged 11.7ppg and 11 rpg which, after his recent return to New York bringing and 18 rebound performance may just mean that this guy loves being a Knick. Some may scoff at the idea but Raymond Felton is a perfect example of a player who flourishes in the New York Lime Light. Now although each of these players are over the age of 30, unfortunately Barron has no playoff experience within the NBA and has actually only spent 6 years in the league. Richardson on the other hand has been to the playoffs four times and has managed to average 8.5ppg, 4.3rpg, 1.2 apg and 0.9 stlpg which is a great sign for the Knicks with the upcoming playoff run. Now the ultimate question, will the top-ups pay off? well considering that realistically both Richardson and Barron are on the Knicks roster to fill a void and complete the bench then yes I believe they will pay off. It is not a reasonale expectation to expect these guys to come in and to on a huge role within the Knicks roster, also if the Knicks get healthy guys back in the mix then the new recruits will most likely not see any court time. If that does not occur the Knicks now have two experienced guys who know how to play their role and do it well. Time will tell how deep the Knicks playoff aspirations run but one thing is for sure with the depth and talent the Knicks have they are sure to intimidate any team they come up against. JR Smith ended the 2011/12 season as an unrestricted free agent and after considering his options and offers, ultimately decided to stay with the New York Knicks! Now speculation arose about the circumstances of Smiths signing with the Knicks and rumors circulated that perhaps the exciting and athletic shooting guard may not have received the offer sheets he was expecting. It is well known that JR Smith is a shoot first, think later type of guy that can shoot you in to a game or in some cases out of a game and after his sub-par 2011/12 season it is obvious to many why he may not have been pursued by a majority of franchises. That aside, JR Smith is one of the most athletic, offensively gifted 2 guards in the league and his ability to make an impact of the bench is well noted by many, he is a proven scorer and has shown that he has the ability to make and take game winning shots (with 2 buzzer beaters to his name already this season). Now JR Smiths contract consists of a two year deal, the first paying him 2.8 million dollars and the second as a player option. JR is an integral part of this current Knicks roster, however prior to the season he stated his disappointment over not receiving the starting 2 guard spot and only time will tell if he has accepted his role as the Knicks ever-ready sixth man and also if he chooses to stay a Knick or chase a bigger, more appealing contract. 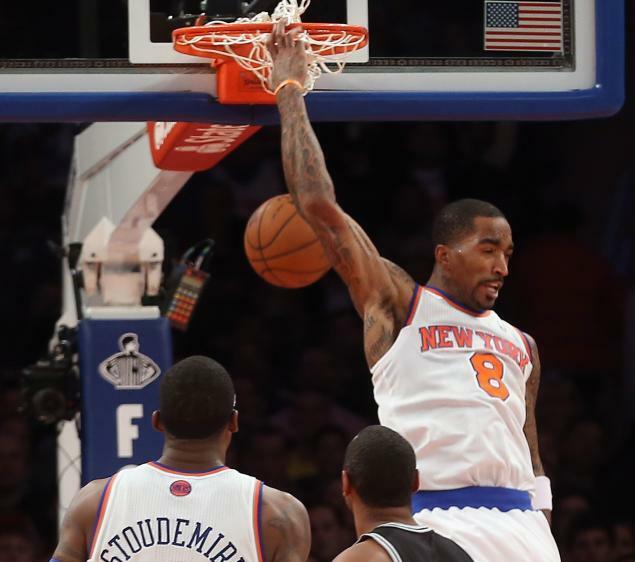 One thing is for sure, right here and now in the 2012/13 season JR Smith is certainly in the running for sixth man of the year and there is no escaping the fact that he will be an integral part of the Knicks playoff run.